The Orlando law firm of Dellecker Wilson McKenna Ruffier and Sos has sent out an important reminder to their clients and colleagues: Always Wear Your Seatbelt. 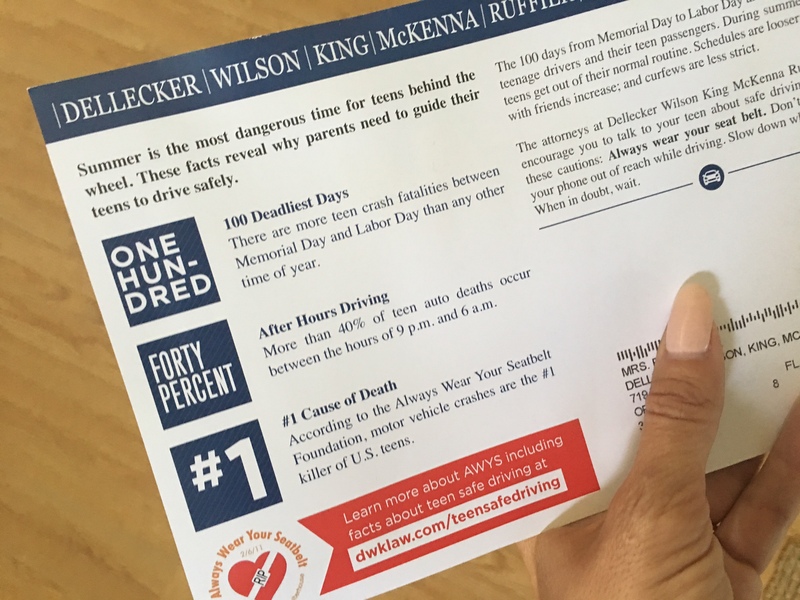 A postcard with facts about teen safe driving was mailed to thousands of area residents and professionals to remind Orlando that summer is the deadliest season for teens on the road. A link to this special web page was included: Click Here. Train your children: Have all children age 12 and under sit properly buckled in the back seat. Remind teens about the importance of seat belt use. 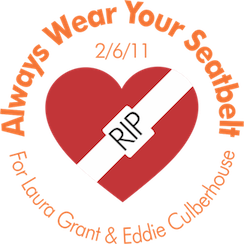 Encourage teens to make wearing a seatbelt a habit. The firm also asked the community to Sign the Pledge and commit to always wearing a seatbelt while driving. Thank you Dellecker Wilson McKenna Ruffier and Sos for reinforcing our life-saving message.